We took a boat from .to Isola Bella, an island that has been owned by an Italian family for centuries. The main house is a palace, which we toured. 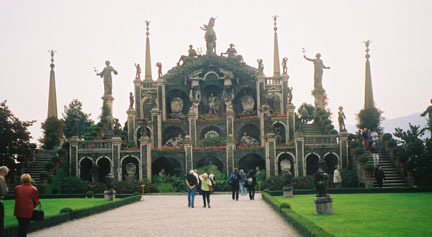 Next to it were elaborate gardens. We then took the boat back to Stressa and had lunch.